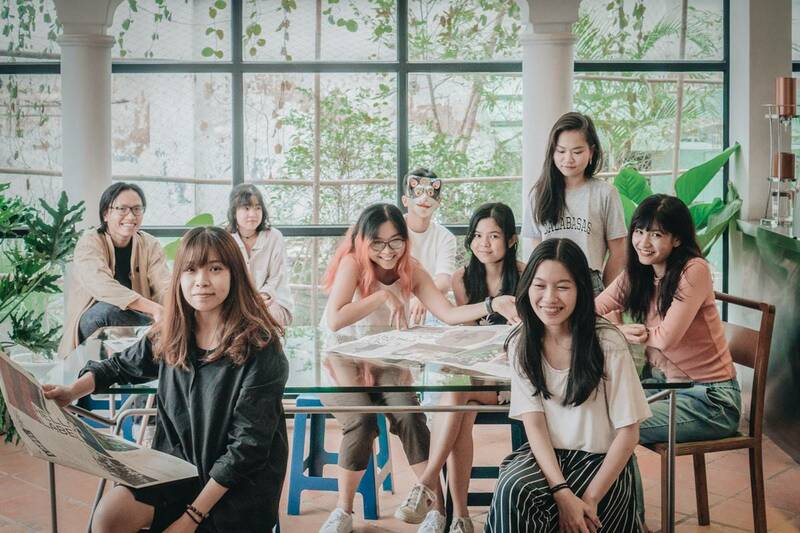 Ho Chi Minh is a city made for designers—low rents, a close-knit community, and a sense of abundant freedom are all firing the creative industries here. Lately, as the scene matures, we’ve been seeing a growing self-awareness inserted into modern Vietnamese design. Just take the “Bia Hoi glasses” being sold as a homeware product in the Label Concept Store, at 267/2 Dien Bien Phu, as proof of this increasing self-referencing and merging of high and low cultures. 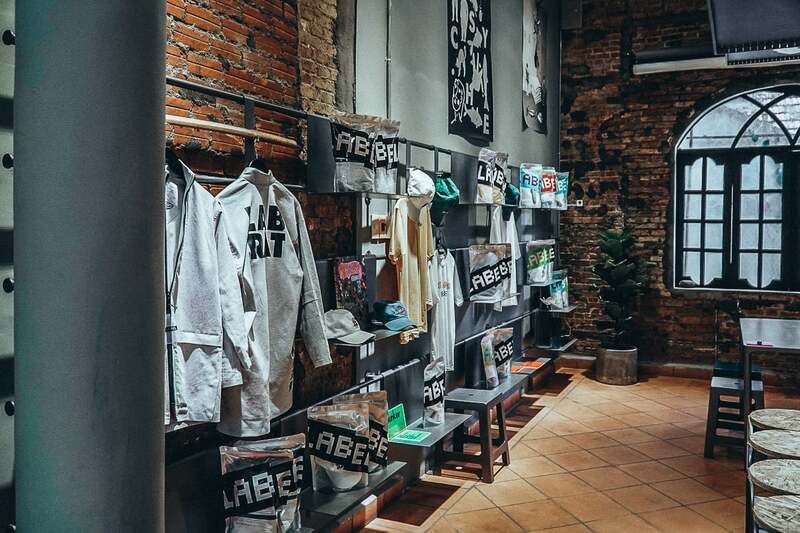 When we talked to The Lab Saigon’s Creative Director Tuan Le earlier this year, we were already anticipating what would be next from “the brains and muscle behind local brands like Work Saigon, Work Cafe, Bunker Bed and Breakfast, and Anan Saigon.” And so when we learned that their newest venture was to reimagine Work Saigon as this concept-store-fronted design house tucked away down the same inconspicuous District three alley, we headed straight over for another talk with Tuan Le about how they are reinventing work (in a different way this time). Let’s start with the name, Label. Label is short for Lab et al—Lab and others. And it means exactly that. This is a collaborative space between us and other creatives. 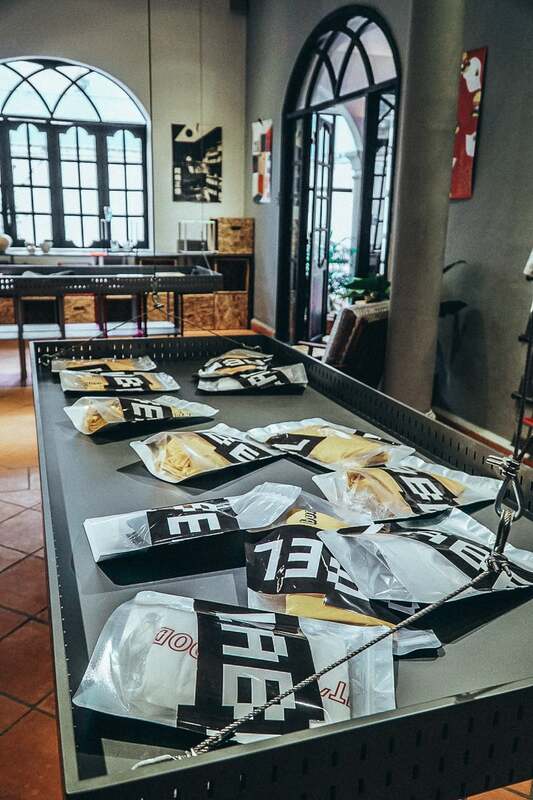 Can you tell us more about the story behind launching Label Concept Store? 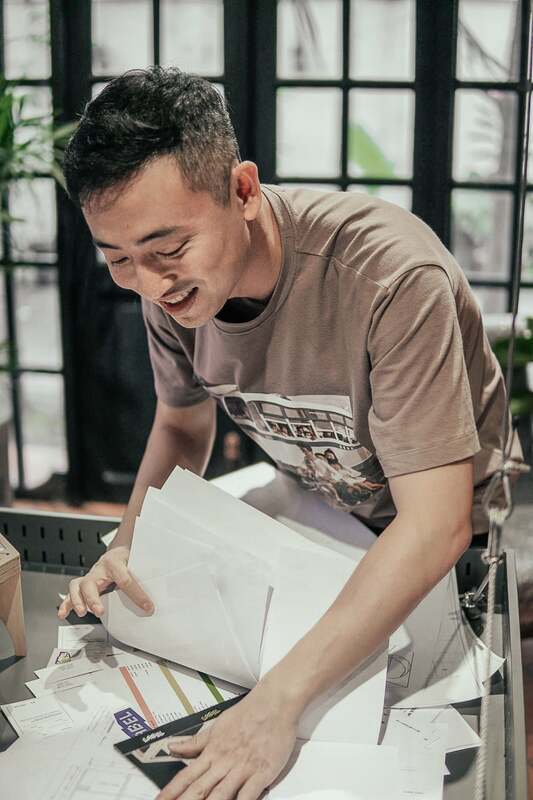 When we launched WORK Saigon, the original idea was to open a workspace where we could start conversations within the creative community, and for those collaborations I mentioned to evolve. But as we grew, it became more of a traditional coworking space. And so the business didn’t fit our original vision. Also, our primary project, The Lab Saigon, was outgrowing the cafe and coworking space. So we took the opportunity to transform the venue fusing our original vision with current projects. With the introduction of Label, we launched a platform that can showcase our designs, host our clients, and give the team an outlet to produce and showcase their own original work. It’s 70% concept store, 20% event space, and 10% coffee shop. How do you fit among the current crop of concept stores? While I love spaces like L’Usine, they do lean more towards international brands. With Label Concept Store, we’re bringing both curated and original local products to our shelves. It’s what the market and industry need—interesting, fun, and collaboratively-produced merchandise. What are some of Label’s most unexpectedly popular products? What are some upcoming releases that we can look forward to? Our team is most excited about designing merchandise that combines the old and the new. For example, we’ve redesigned the piggy bank for the millennial. 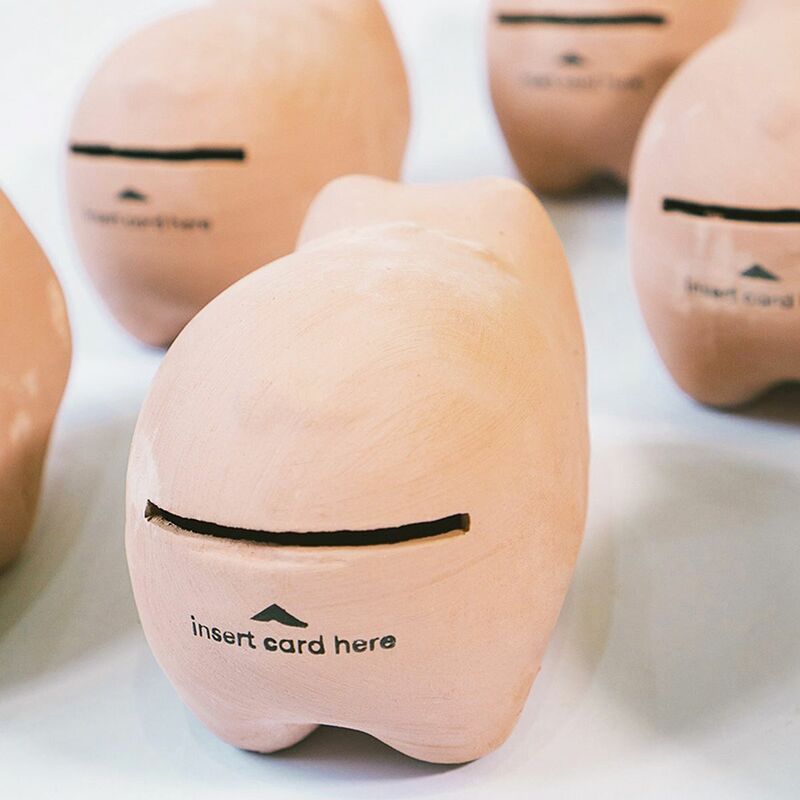 We know that the millennial audience is becoming more design conscious, so Label Concept Store launched this fun piggy bank into which you can slide your credit card. You can only use it again if you break it open. If you really want to save money in 2017, don’t just save cash—hide your credit cards. Another of our products that represents the theme of mixing the old and new is our ancestral altar, which we’re designing for today’s audience. It hasn’t been updated for centuries. When it launches, it’ll be a cultural piece that is representative of a lot of the work we’re doing. A few other popular Label Concept Store items are spin-offs from our work with Anan Saigon, a restaurant that we helped launch earlier this year. 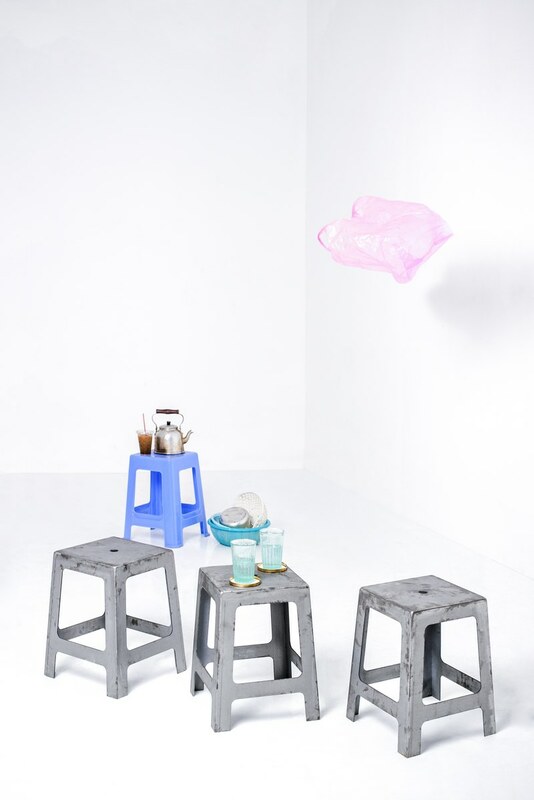 At first, we didn’t think we could make a sturdy, but affordable, metal version of the ubiquitous plastic stool. Today, we’re selling these stools in bulk. They’re well-priced and we’re constantly iterating different versions of them with lighter materials. Another product we carry that we’re really proud of is the iconic green “Bia Hoi glass” from Hanoi. Each one is unique and made from recycled glass. You’ve always been passionate about collaborating with other creatives. What are some collaborations that have been happening in this space? Some of our first collaborations have been with THUC and Psyche Saigon—both local fashion brands. 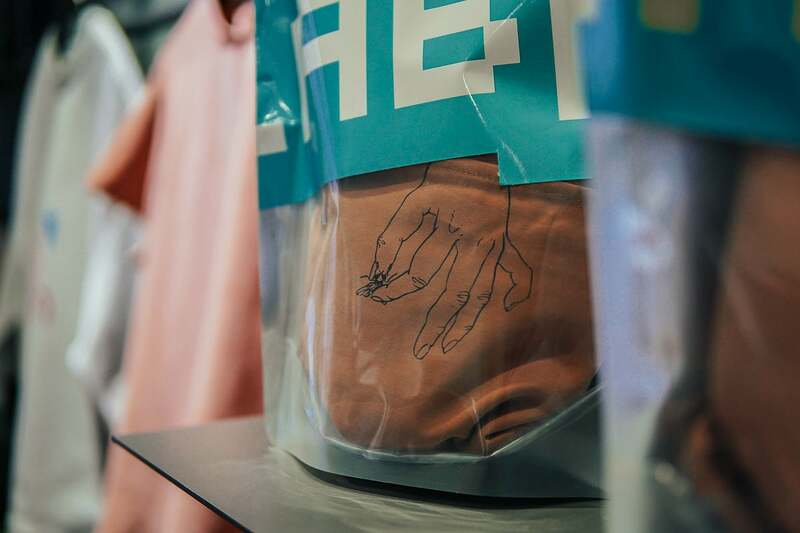 Label Concept Store also recently featured a collaborative collection that we launched in this space with our friends Linda Mai Phung and Hey Camel Ceramics. It’s a workwear collection with overalls and other functional clothing, a lot of which is unisex. You’ll also notice the furniture featured here—it’s all been designed by our team. We’ve also been collaborating on a custom motorcycle helmet with Bandit9 Bikes, which we’ll sell through the store. 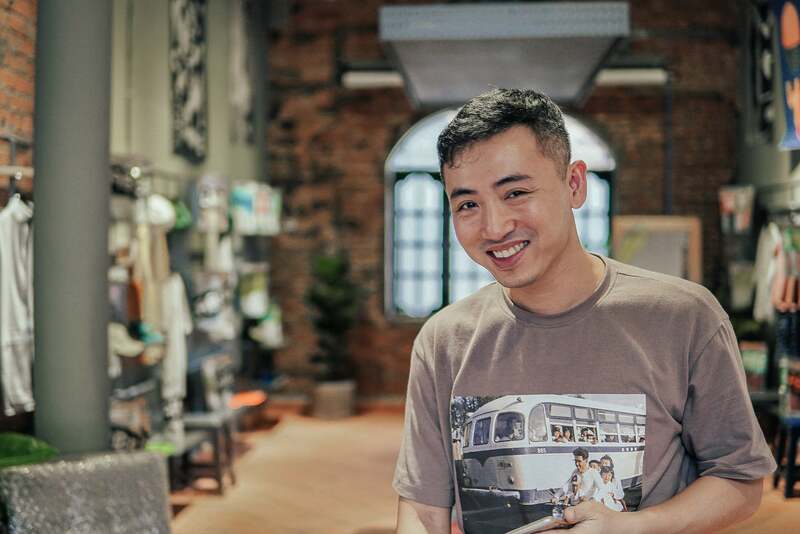 We also work with the team from CON, a streetwear brand who we are hoping to develop a lot more projects with in the future, and Moi Dien, Tom Trandt’s clothing brand. What’s the process for anyone wanting to be showcased in the Store? Some of our friends around Ho Chi Minh City will message us asking to work together. Others, we’ll reach out to and explain what Label is about. So far, we’ve collaborated with seven brand owners including Thuc, Psyche, Hey Camel, Linda, Bandit9, Moi Dien, and CON, but we’re always in dialogue with others about what kinds of projects we can tag team together. How can you make this space multifunctional? You can see the shelves in the middle of the room lift up so we can transform the store into a dedicated event space. We want to do community events here that are design focused and art focused. You’re pretty particular about your coffee too. Tell us about the coffee shop here. 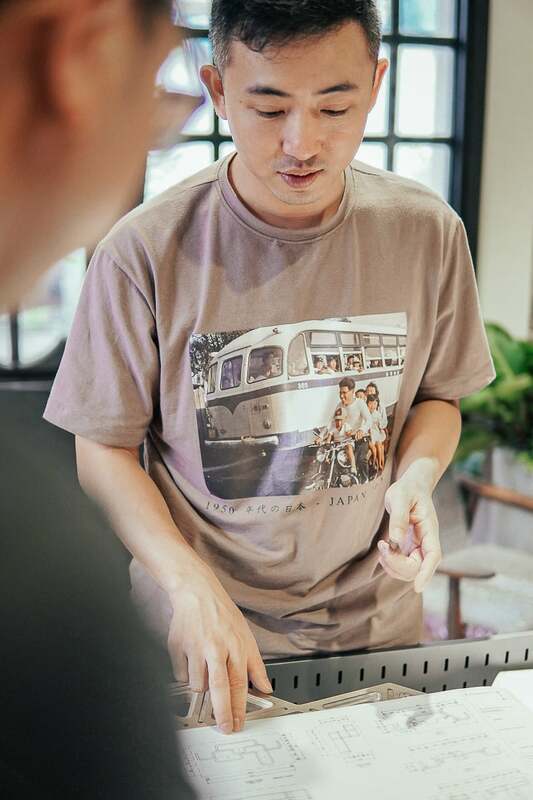 We use coffee from The Married Beans in Dalat, whose Duy Ho you spoke to recently—he’s like one of the two or three major suppliers to specialty coffee shops. But it’s not our aspiration to be a specialty coffee shop. What we want to do is to have the same fun with our coffee as we do with our designs. Our plans for the cafe include starting a YouTube series on experimental beverages. By the way, we’re looking for a barista who wants to make some new stuff, if you know anyone? How about working with larger brands? Is that something your team would consider? Yes, we’re open to it. We’re inspired by Story in NYC. They are a retail concept store which transforms like a gallery, sells things like a shop, but has the perspective of a magazine. We want to collaborate with brands like this that see value in both design and concepts. We’re connecting to more of these kinds of companies that share a like-minded approach to a multi-faceted business model. We’d also love to design a limited edition Nike shoe. Since last time we talked, has anyone emerged that you think we should talk to? Tom Trandt from Moi Dien. He’s a Parsons fashion grad who’s blowing up on social media. There’s also Anh Phi Cako and Robin Mahieux, two young French filmmakers who have been very busy this past year making commercial films, short films, fashion films, and music videos. Also, there’s Mr Chanh from the Runam family. We’re always talking about how new blood is shaping Vietnam. Here’s a family who have been shaping it for years, and they still are.